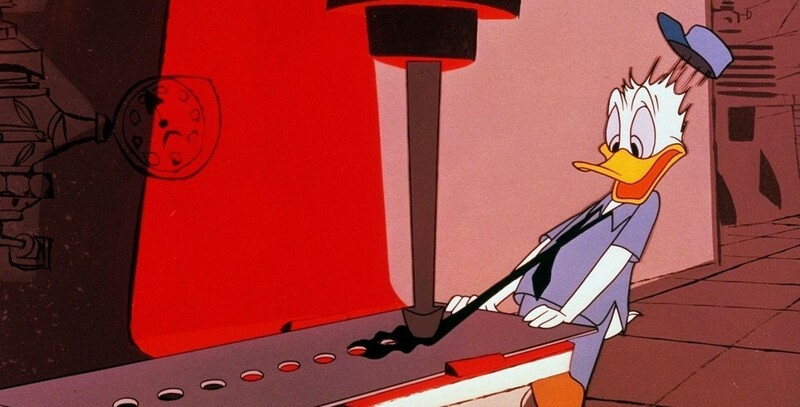 How to Have an Accident at Work (film) Donald Duck cartoon; released on September 2, 1959. Directed by Charles Nichols. The bearded duck named J. J. Fate, who previously appeared in How to Have an Accident in the Home, warns of the dangers of being careless in the workplace, with Donald Duck as the example. Throwing all caution aside, Donald forgets his safety helmet, ignores signs, gets mixed up in the machinery, daydreams, and even gets in an accident in his rush to clock out.